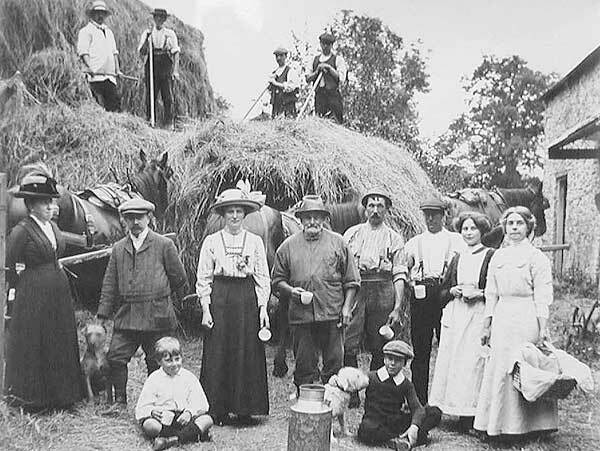 In Victorian times farming families produced most of the food they ate. Farmers grew a variety of crops and kept a mixture of livestock. From time to time they would have a surplus to sell. It was usually the job of the farmer’s wife to make butter and cream from any surplus milk. 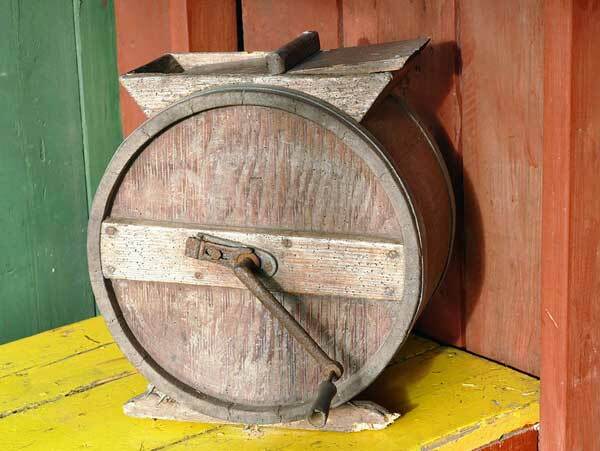 The butter was made in a wooden churn, turned by hand, like this one. The butter and cream would be loaded into the horse and cart, along with any eggs, chickens and potatoes, and taken into the nearest town to be sold. 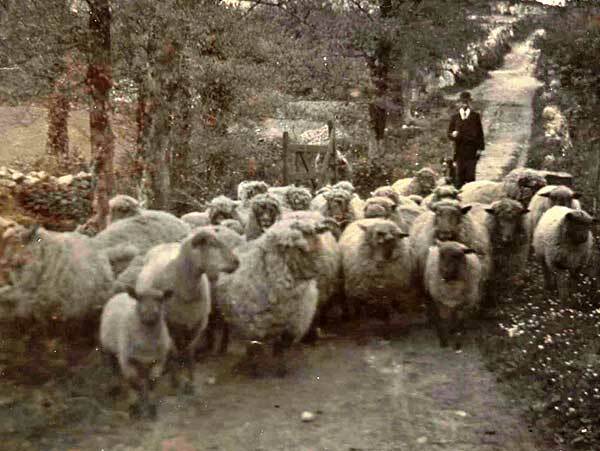 Selling animals meant walking them to market so almost every town in Cornwall had a fair or livestock market where animals were bought and sold. 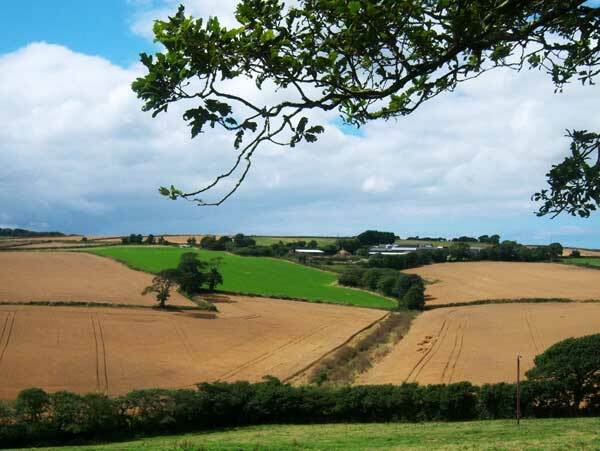 At one time there were 31 livestock markets in Cornwall. Most of those have closed now. 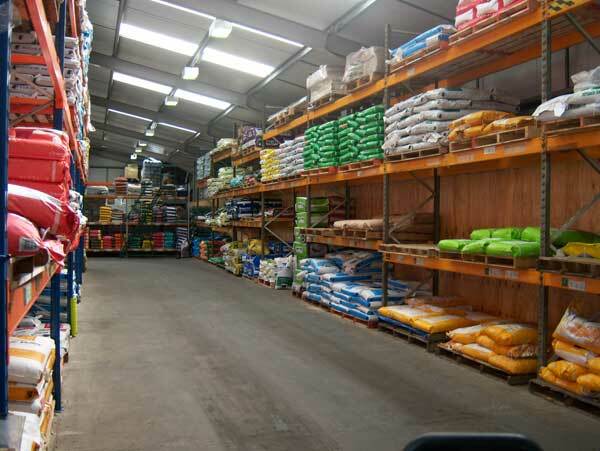 Only Truro and Hallworthy still have regular livestock markets. Was there ever a market in the town near you? How would you find out? One way might be to ask a grandparent or an older person what they can remember. Sometimes there is a clue in the street names. Can you find out what was sold there? A modern farm is unlikely to be producing such a variety of food as a farm in Victorian times. Modern farmers tend to specialise. Farming methods are more efficient and farmers are producing more food from each acre of land. 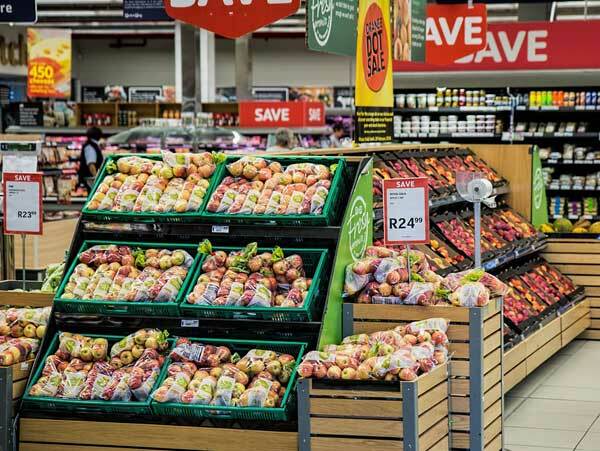 Most farmers sell what they produce to other businesses who prepare it for sale to shops and supermarkets who sell it to us. For instance, most dairy farmers sell their milk to a processing factory or dairy. There, some of it is put into bottles and sold as liquid milk, and some is made into butter or other dairy products. 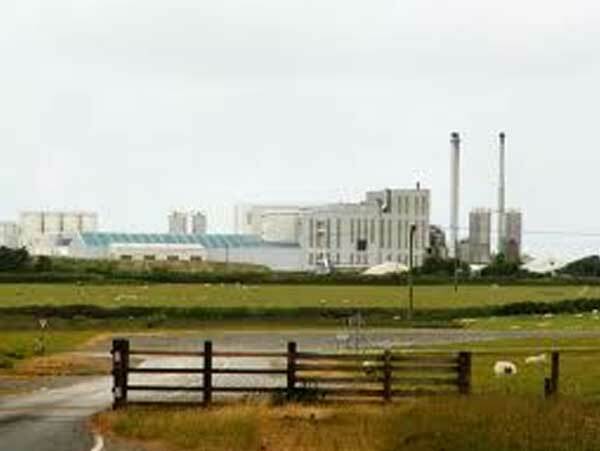 Much of the milk produced in Cornwall goes to the Dairy Crest factory at Davidstow to be made into cheese. 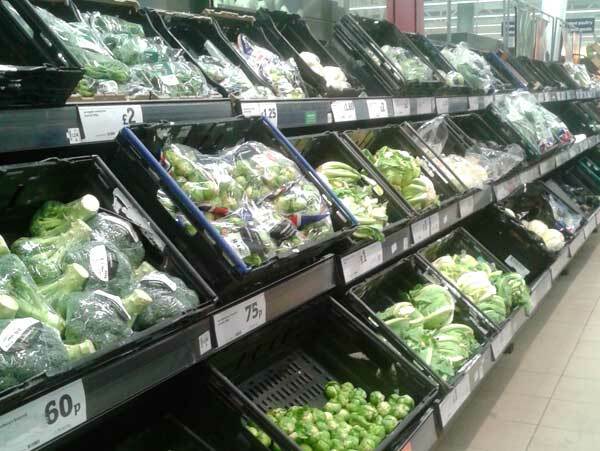 Cornish farmers growing large acreages of vegetables and soft fruit usually sell them direct to one of the big supermarkets or, in the case of potatoes, to crisp manufacturers. Cereal crops such as wheat and oats are sold through agricultural merchants. They may use these crops to prepare bags of feed for all kinds of livestock from chickens to horses. 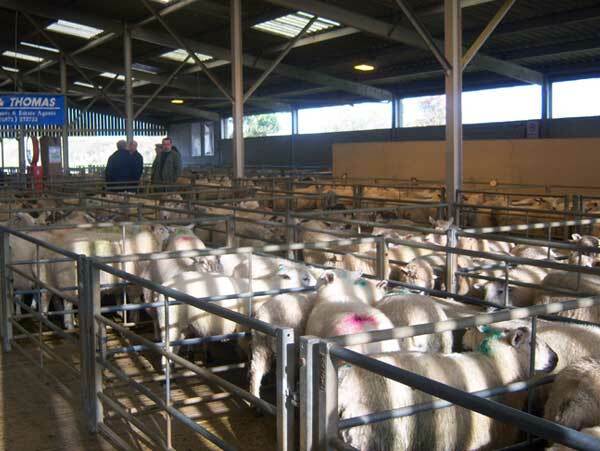 Cattle, sheep and pigs are sold off the farm to abattoirs like St Merryn at Bodmin or through the remaining livestock markets. 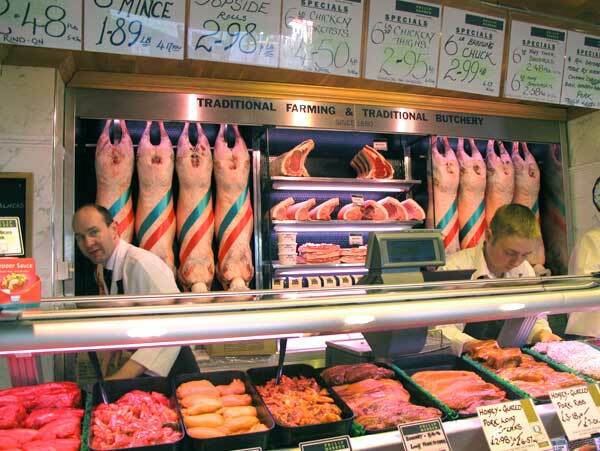 The meat produced is sold to us through supermarkets or local butcher shops. 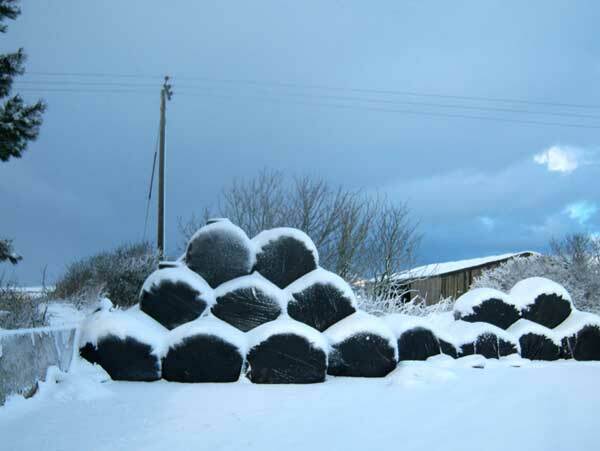 Farmers have to take account of the weather at all times of the year but particularly in winter. 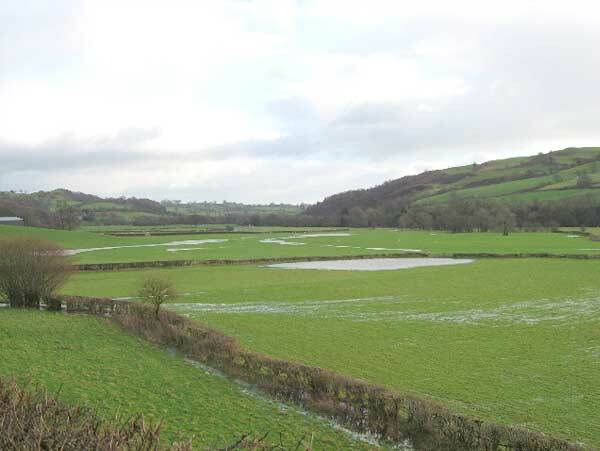 In Cornwall winters are relatively mild although the high rainfall can make the work on the land very difficult. When the ground is very wet, it is important not to damage the structure of the soil by working on the fields with heavy machinery like tractors. The weight of the machinery compacts the soil so rain water will not drain away and the land becomes waterlogged. You see this first in gateways. 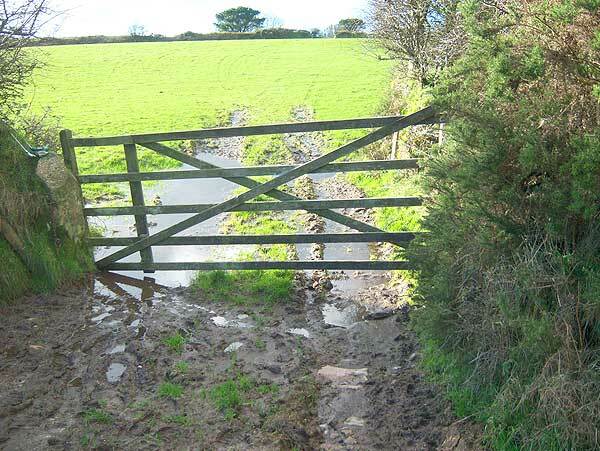 What is the average rainfall in Cornwall? How much of that falls in the winter months? See if you can find out. 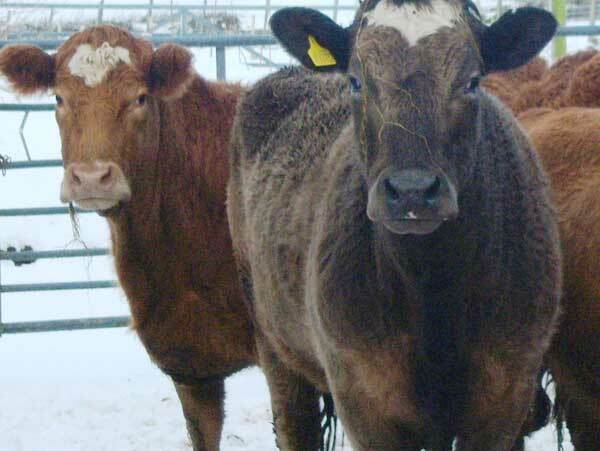 When there is snow and temperatures drop below freezing, farmers have to take steps to ensure they can still look after their animals. Tractors need antifreeze in their radiators to keep the engines running so that feed can be moved around. Water troughs may freeze over and the ice has to be broken before the animals can drink. In the milking parlour, where a large amount of water is needed to keep everything clean, the water pipes must be well insulated to prevent the water freezing up.